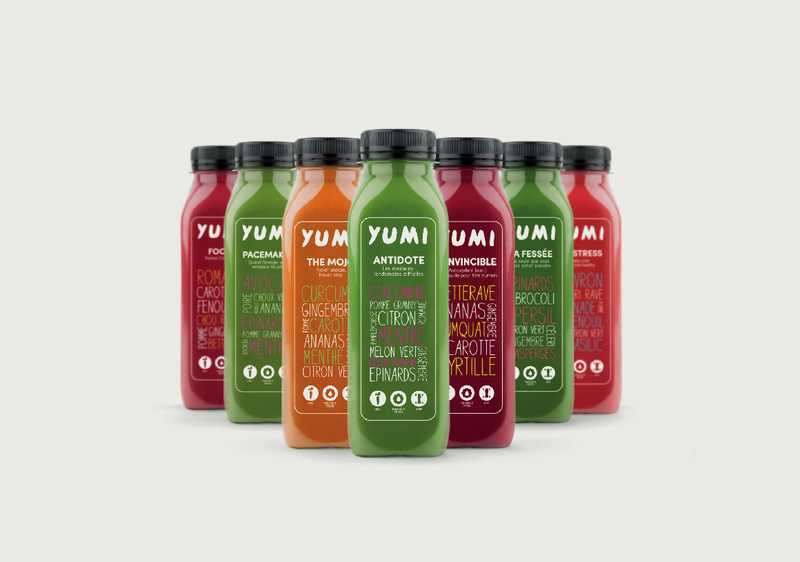 I was selected as lead graphic designer following a call to tender by Yumi, a fresh vegetables juices company. I was hence responsible for the brand’s visual identity which led me to design their whole set of seven bottles and labels as well as their special editions and their pack. I keep working for them on a regular basis for new packaging, cupboards, newsletters design etc.